Brian and Kristy Miller are the dynamic duo of coloring comic books. Their Hi-Fi Studio has brought color and vibrancy to hundreds of comics from DC, Marvel and other top publishers. They have published multiple books and interactive ebooks on the topic of coloring. If you are hoping to break into comics as a colorist or just want to improve your craft, Hi-Fi studio needs to be one of the places you go for learning and insights. Hi-Fi is running a Kickstarter to launch a new book/ebook combo for aspiring creators. I caught up with Brian for a quick email interview, so you can explore this exciting new project. 2. 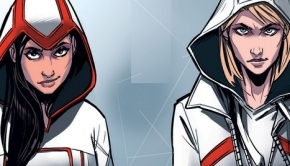 You’ve published two successful books on comic book coloring through a traditional publisher. Why go through Kickstarter to publish this book instead of a traditional publisher? BRIAN MILLER: I have enjoyed my collaborations with traditional publishers but I felt like there was an opportunity to connect with my readers in a way that was not possible in the past. With Kickstarter I am in constant communication with the backers of Hi-Fi Color for Comics. The process becomes interactive as backers vote on stretch goals and rewards. Some backers are sharing the project online and blogging about it to help get the word out. 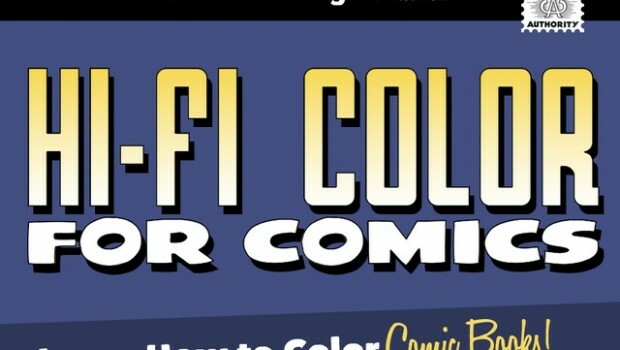 We are all participating in the creation of Hi-Fi Color for Comics in different ways. Another reason I decided to launch Hi-Fi Color for Comics via Kickstarter was due to the poor handling of digital editions by some publishers. When it comes to art-instruction my readers need to have access to the tutorial artwork, color palettes, and other project files for each lesson. The publishers I met with do not have a good solution for digital content delivery in place. I found their attitudes about content delivery old fashioned and unacceptable. I’m thrilled to say that Hi-Fi Color for Comics will be one of the first art-instruction books available as a digital edition from ComiXology on their Comics app for iOS, Android, Kindle, and Win8 devices. After speaking with the team at ComiXology it was clear they understand the needs of my readers and I am excited by what they will be doing with the digital edition of book. ComiXology is applying their Guide View technology to the step-by-step tutorials in Hi-Fi Color for Comics providing readers an easy way to navigate each lesson. The ComiXology edition makes a great companion to the print edition and readers can carry it with them everywhere as a handy resource. 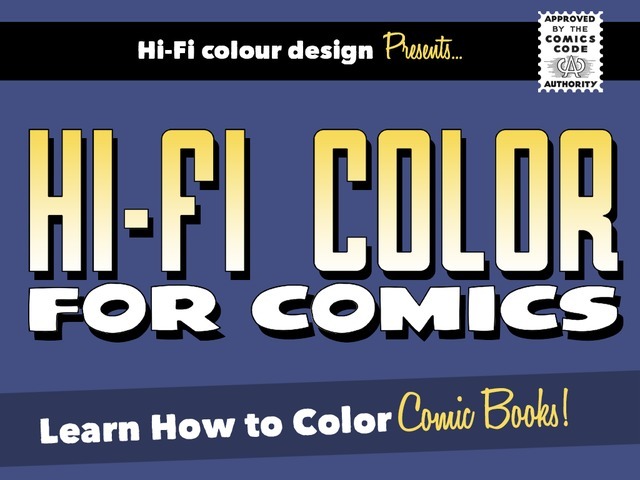 Everyone who backs the print edition or ComiXology digital edition of Hi-Fi Color for Comics will receive free enrollment in Hi-Fi Academy. This online resource will give readers access to all the artwork and other project files they need to complete each tutorial. They will also be able to download Hi-Fi Helpers and Photoshop add-ons like scripts, actions, brushes, and more as well as access exclusive video tutorials and bonus content. I dreamed of creating the best art education experience for Hi-Fi Color for Comics readers and I am thrilled so many people are getting involved via Kickstarter and sharing this dream with me. 3. What will you be teaching in this particular book and who is it targeted to? BRIAN MILLER: Hi-Fi Color for Comics will teach you how to transform black and white comic art into full color illustrations using step-by-step tutorials that guide you from start to finish. Learn about scanning, mastering Photoshop tools, creating and using brushes, color rendering, making special effects, and more. Hi-Fi’s creative coloring process eliminates many of the technical roadblocks saving you time and allowing you to focus on being creative. 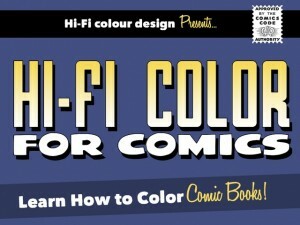 You will learn the tips and tricks used at Hi-Fi to color comic books for Marvel, DC, & Image. As you complete each of the projects in Hi-Fi Color for Comics you will learn valuable new Photoshop skills and achieve results you will be proud to show to friends and family. 4. What should people know if they are considering a career as a professional colorist? BRIAN MILLER: Working in comic books is an exciting career and you collaborate with other creative people daily while chasing after the monthly deadlines. The skills used in coloring can open doors to careers beyond comic books too, like video games, pre-visualization for film & TV, toy packaging, and more. You can also use the lessons from Hi-Fi Color for Comics to color your own artwork and tell your own stories so if you have a web comic, graphic novel, or app you are developing the tutorials in the book can help you make all of your creative projects stronger. The painting and coloring techniques you will learn in Hi-Fi Color for Comics will make you a stronger artist and develop within you new tools to add to your creative toolbox.